Starting preschool at home? You may enjoy reading our favorite tools for preschool at home. Plus, make sure to grab the free printable planning grid! 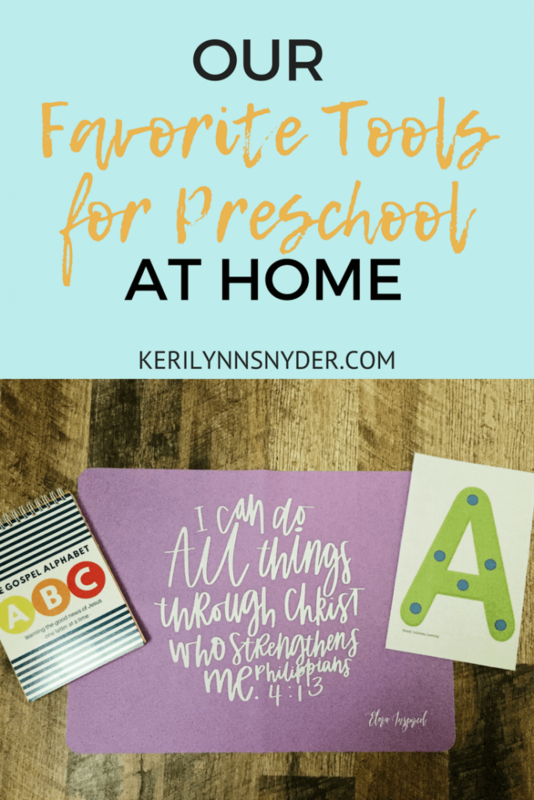 While working on preschool at home plans, I have been putting together some of our favorite tools to use. I like to use a lot of hands on activities and weave in plenty of Scripture. We keep it very simple and fun with a laid back approach. I learned with my oldest that when I got too strict with it, we both ended up stressed out. 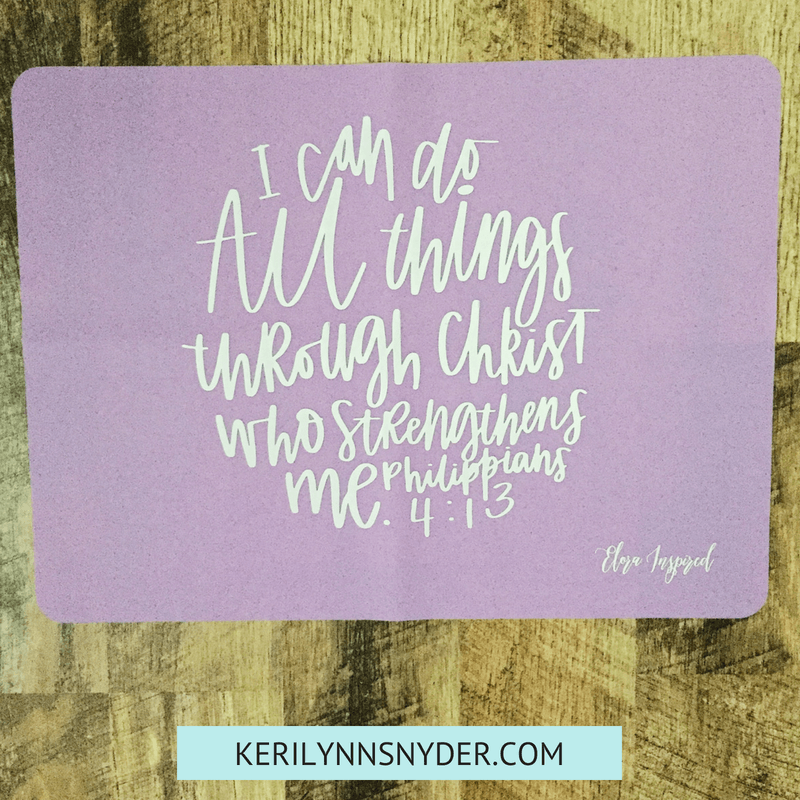 Today, I wanted to share some of our favorite tools in order to help inspire you! One of my favorite tools for preschool at home to pull from is the Peaceful Preschool curriculum. This is a literature and project based curriculum that is full of hands on learning experiences. I love how everything is laid out in a grid for each letter. I plan to pull a few activities from this plan every week. I absolutely love hands on learning and using limited worksheets. 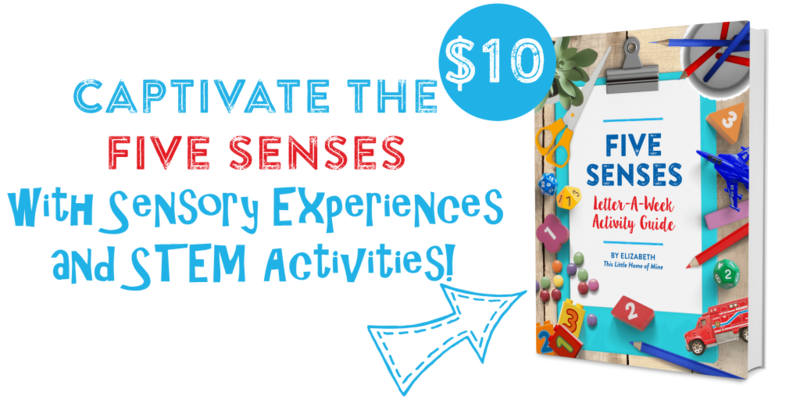 The Five Senses curriculum is all about using all 5 senses for learning! There are ideas for each letter of the alphabet. It is well laid out, organized, and easy to use! Plus, you can pair this alongside of Elizabeth’s other books, Homeschooling Your Preschooler and Lifestyle Homeschooling. I recently saw the idea of having Breakfast Invitations from Days with Grey. Immediately, I loved this idea because of the simplicity of it! I highly encourage you to follow along on her Instagram as she constantly is sharing ideas in her feed and shares how she quickly preps each morning invitation for the following morning. Since we will be focusing on a letter a week, I love being able to incorporate the Gospel with our learning. 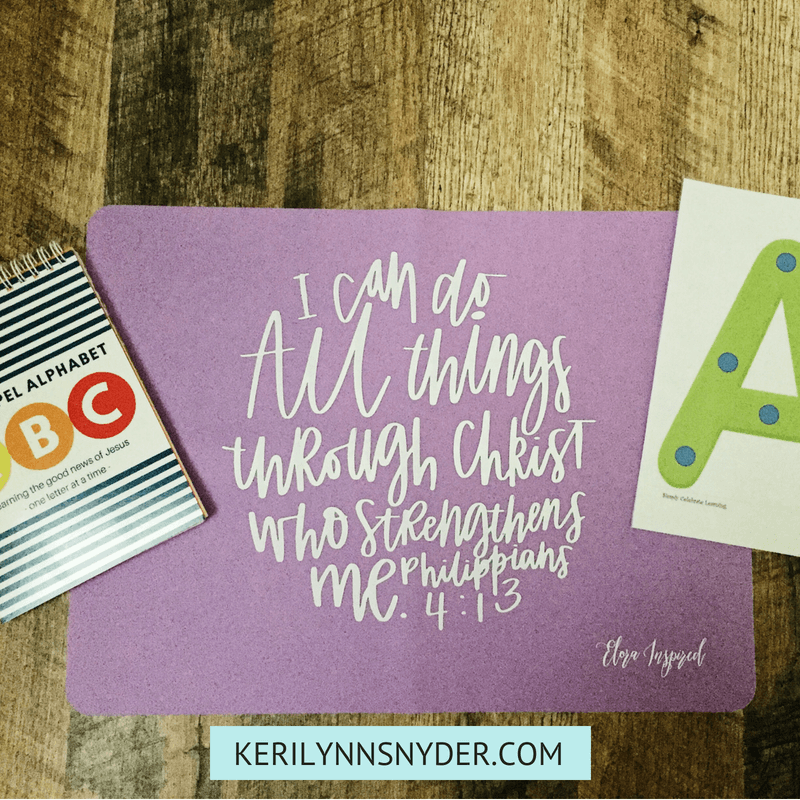 The Gospel Alphabet from Coffey Design Co is a favorite! These cards come in a spiral bound book. You can easily flip to the letter you want to focus on. My daughter loves finding the matching letter to the letter in the book and flipping through the pages while we read the verses. This mat is just adorable and perfect for preschool at home!! 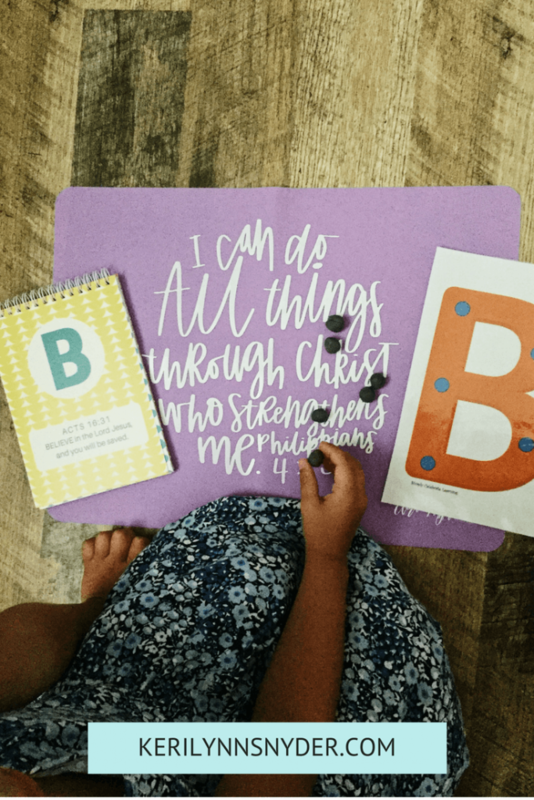 It is a silicone Scripture mat from Elora Inspired. We have been using it for everything. It is great for Play-Dough, a place mat, while you eat a snack, the list goes on and on! 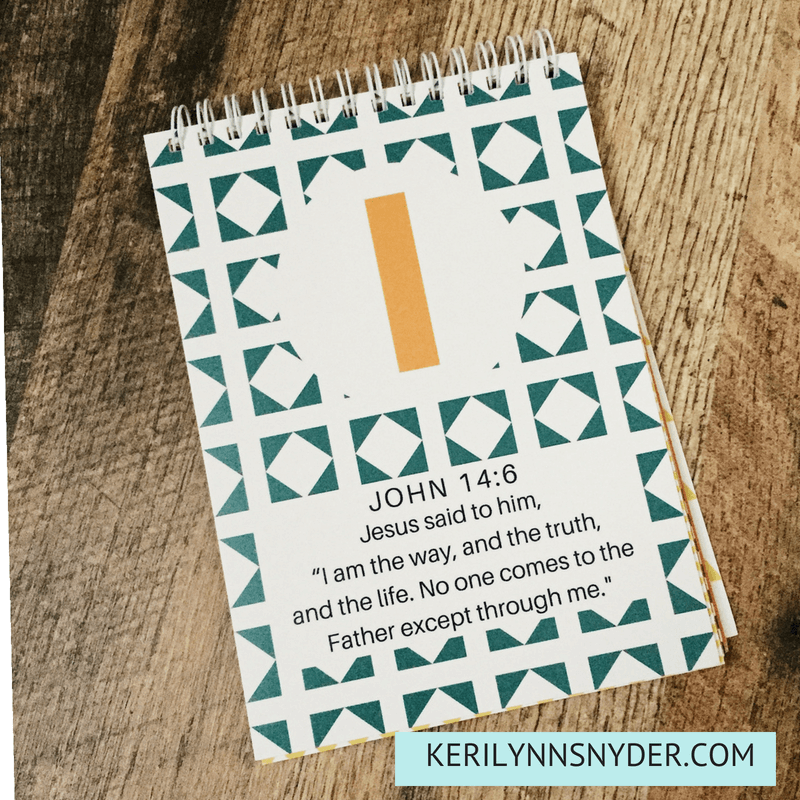 They can be put in the dishwasher and are such a great way to add Scripture to your everyday life! I am all about ways that we can be reading and speaking God’s Word in the big and little moments. These mats do just that! My daughter has already been loving these cards from Simply Celebrate Learning. We have loved putting Play-Dough on the circles. You can also place any small food item on the circles for a fun snack time learning. 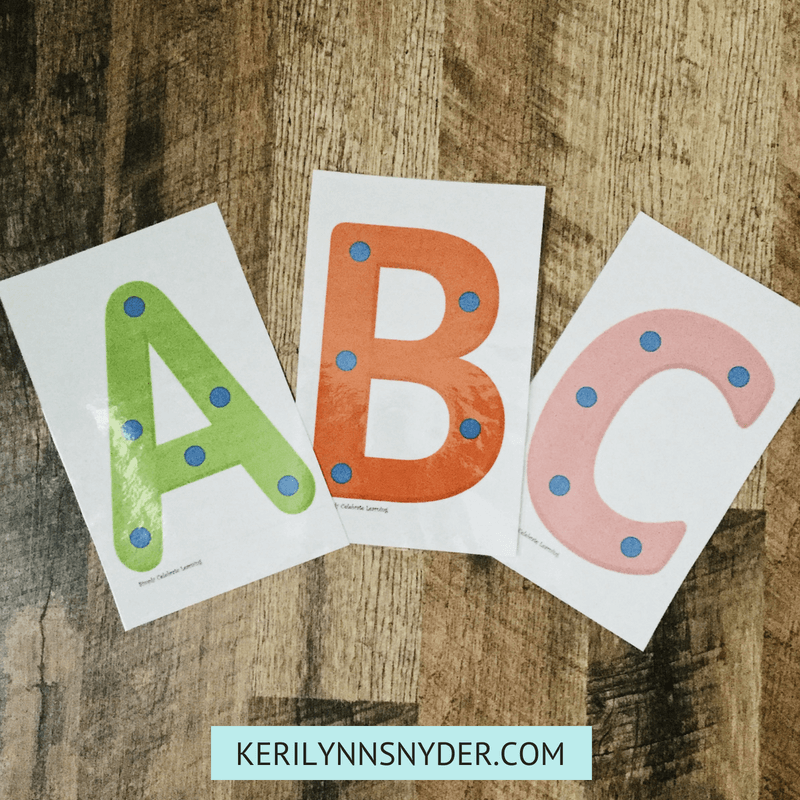 These cards are perfect for counting, talking about colors, tracing, putting in ABC order, and so on! Their shop also has Goldfish counting Number Cards which are just adorable! Of course what is preschool without a plan!? While I love that Peaceful Preschool provides a weekly plan in a grid, I do not always do every single activity. I like to grab ideas from a few different spots, so I put together a grid that I can fill in every week. This is what I did with my oldest and it worked so well! You can download a free copy of the plan HERE. 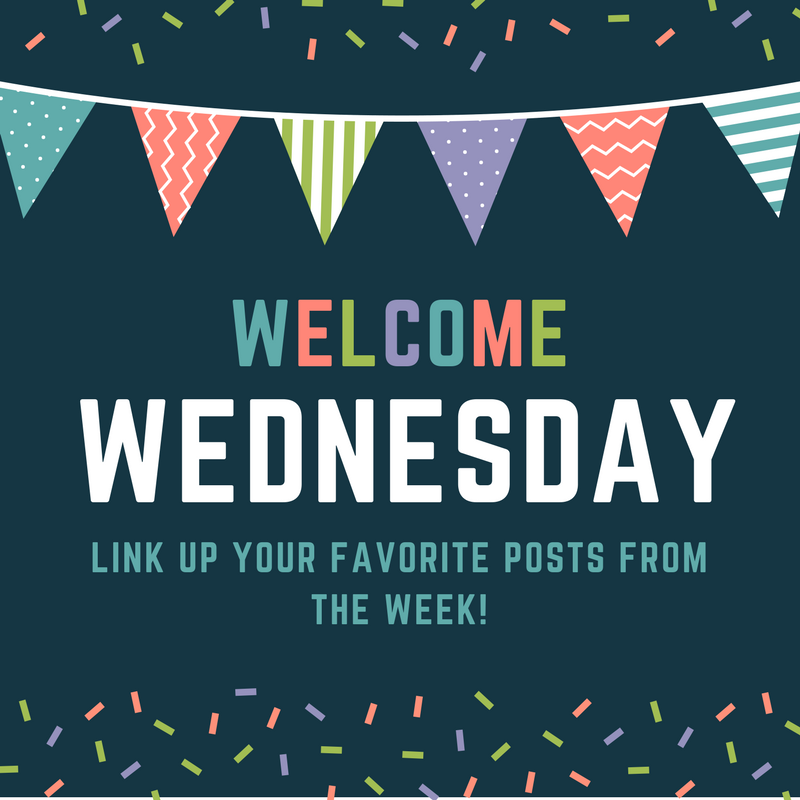 Love this post?! Pin the image below for later! Now it is time for the link party!